partypoker's Biggest-ever Single Online Poker Tournament MILLIONS Online has now crowned a Champion! 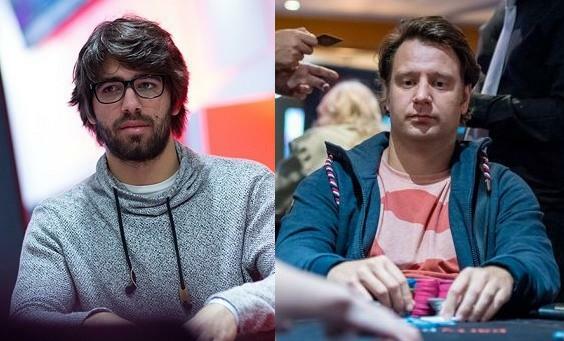 Tags: Blaz Zerjav, Manuel Ruivo, partypoker, Pim de Goede. Posted on Friday, December 07, 2018 by "T". 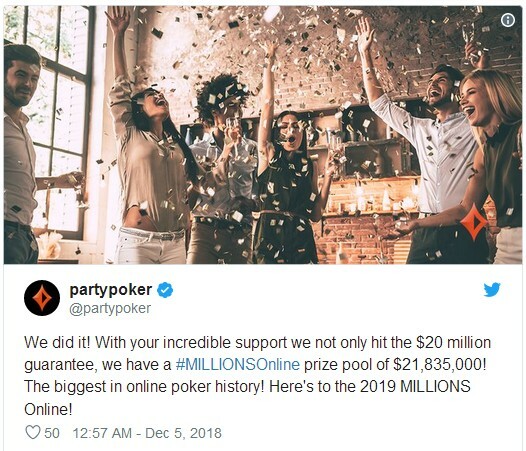 On December 4, on the 4th starting flight of the MILLIONS Online, partypoker has succeeded in reaching its $20 million guarantee, making it the biggest-ever single, online poker tournament in history! The entire poker event gathered 2,190 unique entries, while the rest were from re-entries. 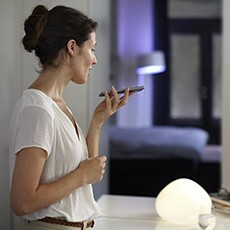 In total there were 4,367 entries. With a buy-in of $5,300, these entries racked up a record-breaking prizepool of $21,835,000! It now dwarfs PokerStars' previous record back in 2011 - the 10th Anniversary Sunday Million that had a $10 million guaranteed prize. A total of 62,000 players signed up which built a prizepool of $12.4 million. When the partypoker announced its MILLIONS Online Event, many were skeptical that they would reach the guarantee. Now that goal has been reached, poker fans shall see to the end who's the winner of their life-changing first prize of $2.7 million! Additionally, the top four finishers will also walk away as happy millionaires (2nd place: $1.9M, 3rd place: $1.3M, 4th place: a little over $1 million). Of course, they haven't accomplished this wonderful achievement just by posting and announcing a tournament in their lobby. Ever since they publicly announced it in December last year, partypoker has been diligently giving away free seats to lucky players. MILLIONS Event tickets were given away to winners of Sit-and Go Jackpot prizes. Partypoker's live tournaments had extra prizes that include free seats to the MILLIONS Event. Satellites with buy-ins as little as $2.20 have guaranteed seats to the MILLIONS Event. Leaderboard prizes throughout 2018 have included seats to partypoker's MILLIONS Event. It sure has been a long journey for partypoker, and they have worked a lot to be able to pull this off now. There were 29 players who survived Day 2 and returned December 5 Wednesday at 7pm, hoping to be the one to win the sweet $2.72 million top prize in partypoker's MILLIONS Online event. After 27 players were eliminated, the last two players immediately underwent a sensible deal, allowing them to walk away from the tourney with just more than $2.3 million each. Manuel "Sheparentao" Ruivo (pictured left) bagged $2,329,943.88 plus the title, whereas the runner-up named Pim "ForMatherRussia" de Goede (pictured right) walked away with $2,309,994.87. The two scores above are now the 1st and 2nd biggest single scores in the history of online poker tournament. The previous record was $2,278,097.50 by Tyson "POTTERPOKER" Marks after he won the PokerStars WCOOP Main Event in 2010. Third place went to Blaz "Scarmak3r" Zerjav of Slovenia, winning $1,364,687.50. He got into the tournament after winning a modest $5 satellite and fighting his way up. Fourth placer Pedro "Maddonaa" Marques also went home with a plump prize worth $1,091,750. 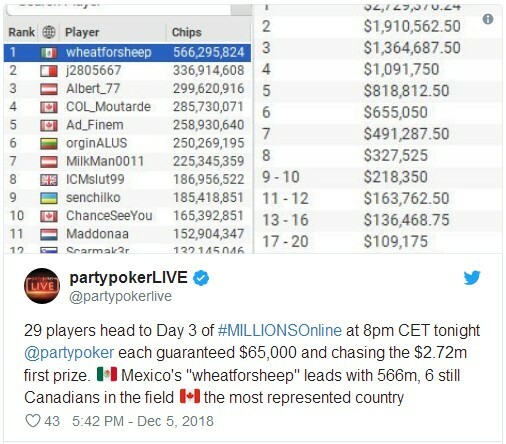 Unfortunately for "wheatforsheep", who started the final day with a massive chip lead, he was unable to utilize his giant stack to its fullest, but in the end still managed to bag 7th place, taking home $491,287.50. 11 comments for "partypoker''s Biggest-ever Single Online Poker Tournament MILLIONS Online has now crowned a Champion!" wow,what a sick payout for first place,over 2,7 million dollars for winner!now I see that they had lot of re-entries,but still this is great prize pool!you can imagine what type of players are on this tournament when they can rebuy again for another 5,300 $!congratulations to winner! It was a first for online poker with a prize like that. Interesting thing also that it had more than double re entries from the initial buy ins. This tournament has surpassed the Pokerstars record with a huge difference, almost double. It is true that they had many satellite tournaments in almost one year and Party Poker have managed not to lose money. Places 1 and 4 have names of Spaniards or South Americans. Maybe they are not dutch citizens, but they are in the Netherlands and they won a lot of money. The other big poker rooms need to make big tournaments with millions dollars, to awaken interest. Seems to me that Malta and Canada became a gamblers paradise for ex-pats who's former countries have no option to join up online outlets within their country's restrictive/licensing practices. Good on these guys though, congrats to them. I am sure that poker stars will try something in future to beat this record that party poker hold and to make biggest tournament with biggest prize pool in history!in last months party poker make new moves and probably take first place in poker industry!this tournament will be for sure great promotion for them and lot of new players will come at their site! Um, what are you saying? This was not a 10k buyin event - that is the WSOP Main Event as far as I know - the buyin at this one was 'only' $5300 (the min. payout in the ITM was 10k) ... Nevertheless it was an impressive achievement to reach this many players on an event like this. yeah,buy in was 5,300 $,not 10,000 $,but there was lot of rebuys,so thats why prize pool was so big and first place ofcourse was huge 2,7 millions!dont know did they expect so many players and such a big prize pool,especially after lost on caribbean tournament,where they need to put own money,almsot 1 million!